This time around, the Daring Baker’s challenge contained two required elements: a chocolate flourless cake, the Valentino, and home made ice cream. We could make the cakes in any shape we desired and provide an ice cream of our choice just as long as it was homemade. There were too many possibilities that kept jumping into my mind so this month I went back to some of my basics. A small taste of dessert, a touch of ice cream, a few fancy garnishes, and a luscious fruit sauce. The dessert consisted of a mini valentino cake, vanilla bean ice cream, sauteed bananas, and passion fruit sauce. I decided to go with a small taste of dessert because chocolate desserts are often rich and overpowering. The elegant plating was much appreciated by the eater and my apprentice. As an added bonus, and because I missed last month’s challenge, I decided to incorporate last month’s DB challege, a vanilla tuile. The dragonfly pattern was cut out of cardboard and used as a template for the tuiles. I bent the wings while they were still hot and they cooled into shape. The whole dessert seemed to balance nicely. 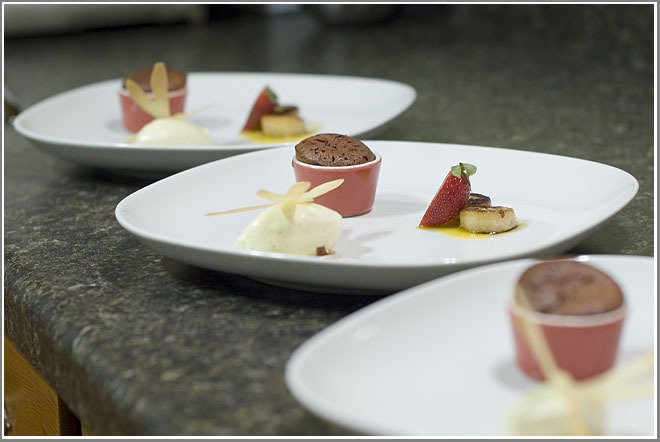 The rich chocolate balanced nicely with the sweet, yet tangy, passion fruit sauce. 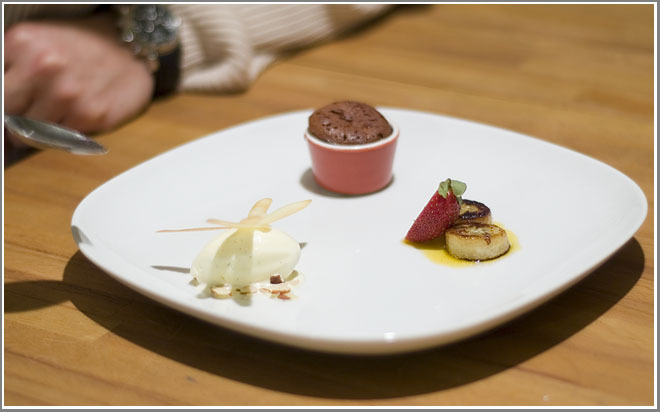 The ice cream and the sauteed fruit rounded out the dish perfectly. 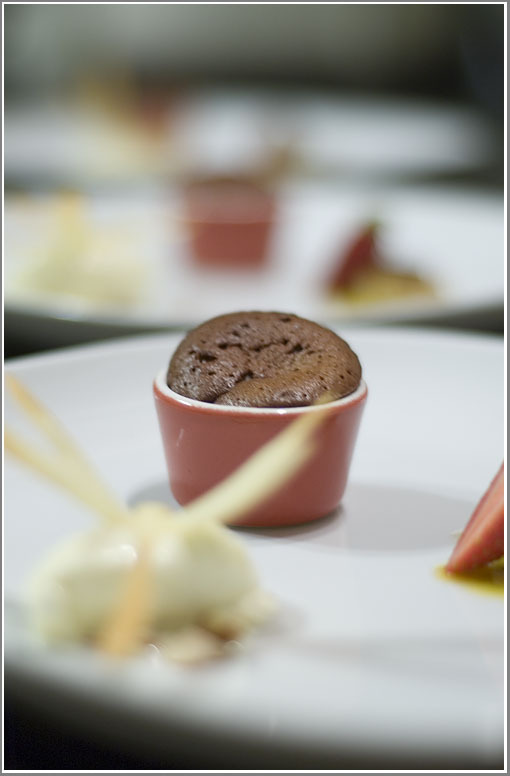 The tuile completed the dessert and elevated this dish to restaurant quality.